Lions and tigers and bears, oh my! 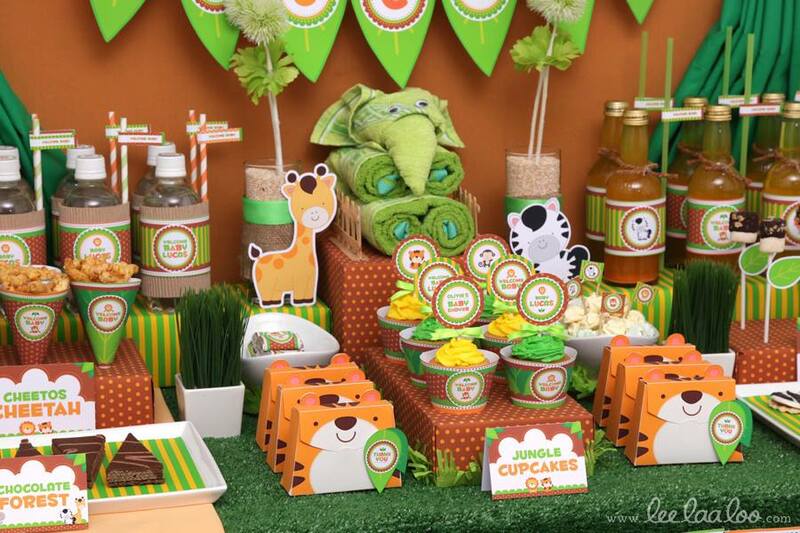 Get your guests into the groove of the jungle boogie in this fun, jungle theme baby shower! 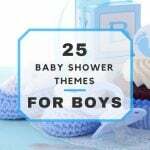 Whether it is a little Tarzan of Jane on the way, this gender-neutral theme is perfect way to celebrate the upcoming birth of any bundle of joy. One of the first things you need to think about is invitations. 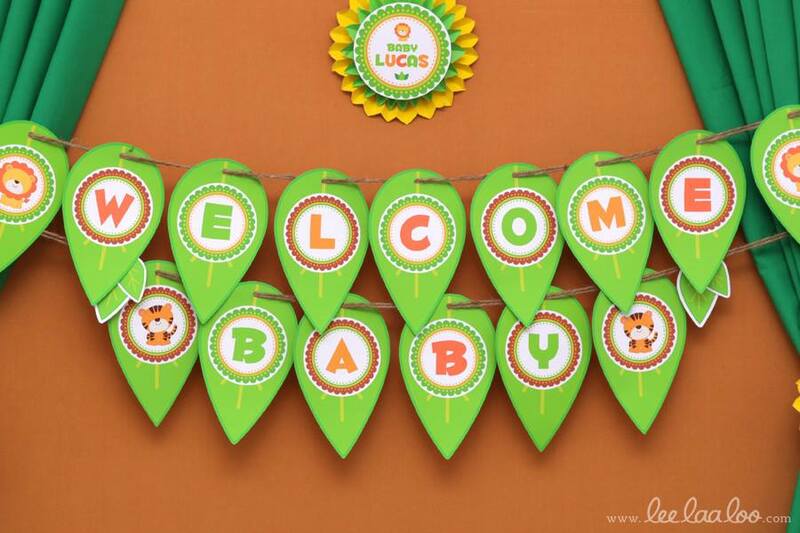 Make that guest list and prepare to send them out because that baby shower date will certainly sneak up on you! 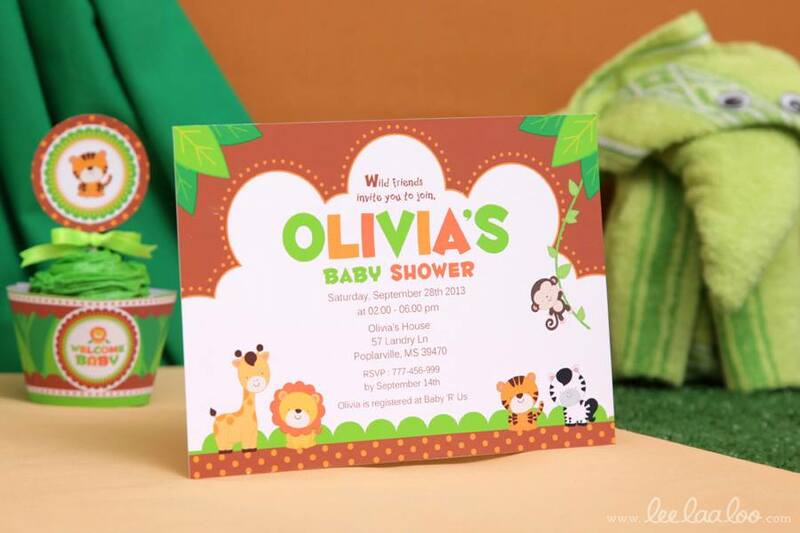 Before you swing on down to the store, try shopping online for invitations. 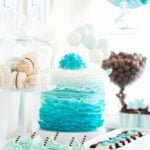 It may shock you that you can actually buy personalized invitations for the same price or cheaper than the fill-in-the-blank invites at the store! 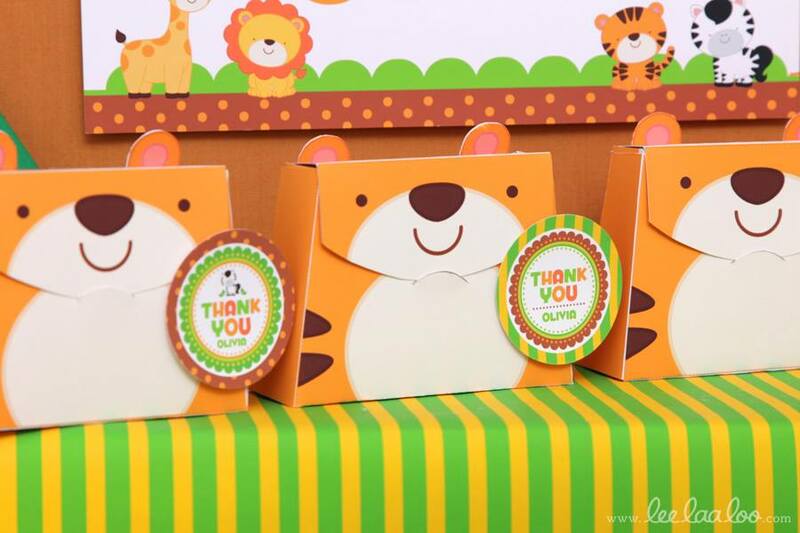 Take these sweet, jungle theme invites from LeeLaaLoo on Etsy; for only $12.00, you receive a digital file that is customized for your event which means you can make as many prints as you want! If that doesn’t make you screech, I don’t know what will! 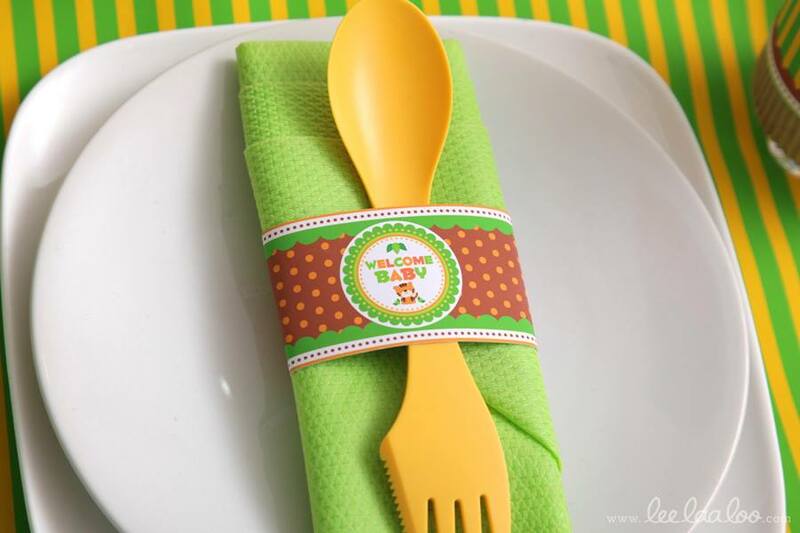 Special thanks to our friends at LeeLaaLoo.com for this adorable design! How do you recreate a jungle environment? Lots of green foliage and animal prints, that’s how! As for color scheme, green and brown work very well, along with any other colors you wish to utilize; the jungle is a very colorful place! Green and brown yarn, ropes, and tulle: Swag these all around the room, across the ceiling from wall to wall to give the appearance of the jungle canopy. Jungle sounds music: To really add to the jungle ambiance of the shower, have a hidden speaker somewhere that is constantly playing the sounds of the jungle. 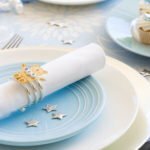 It may not be a decoration to look at, but it will do wonders for the theme! 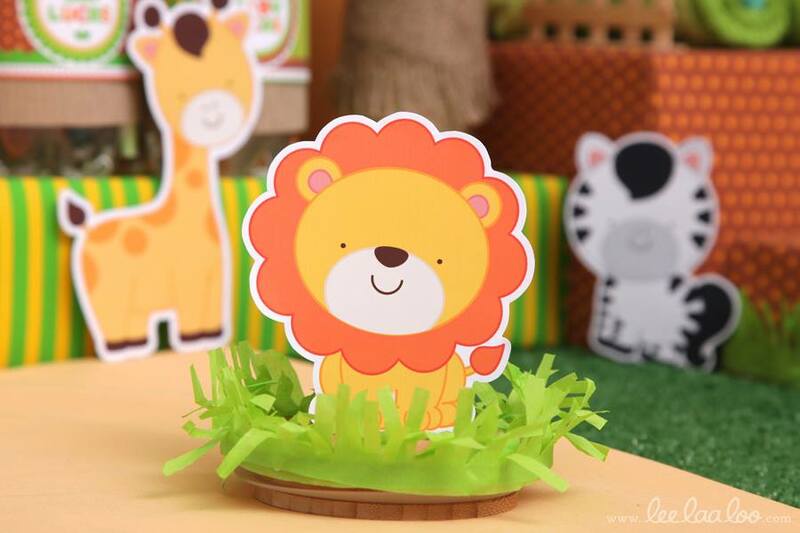 Jungle animals and critters: Monkeys, zebras, lions, tigers, giraffes, birds, snakes and so many more! These guys should be all around the room in a manner that you would find them in the jungle: birds flying or in trees, monkeys swinging on vines, and so on. 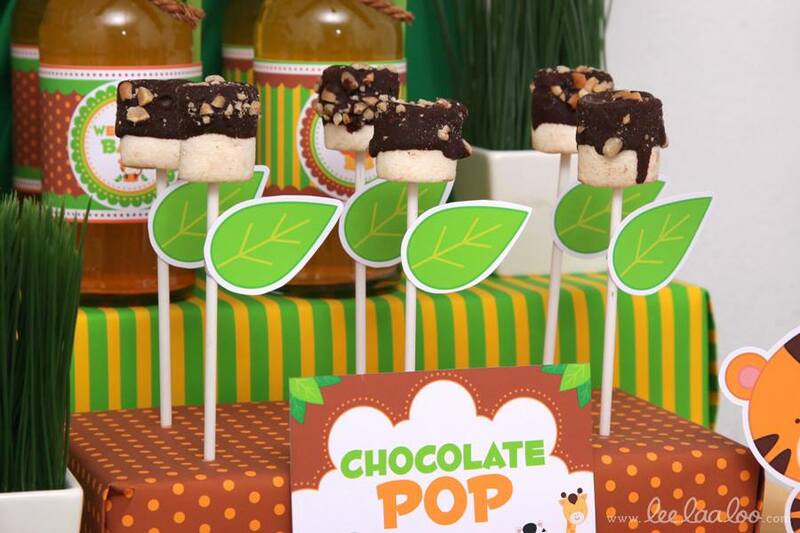 Jungle kabobs: Your guests will want to sink their teeth into these sweet, fruity treats! Place jungle fruits such as pineapple, banana and star fruit onto kabobs and viola! An easy shower snack! Banana bonanza pudding: Layer banana pudding and cool whip in individual cups. 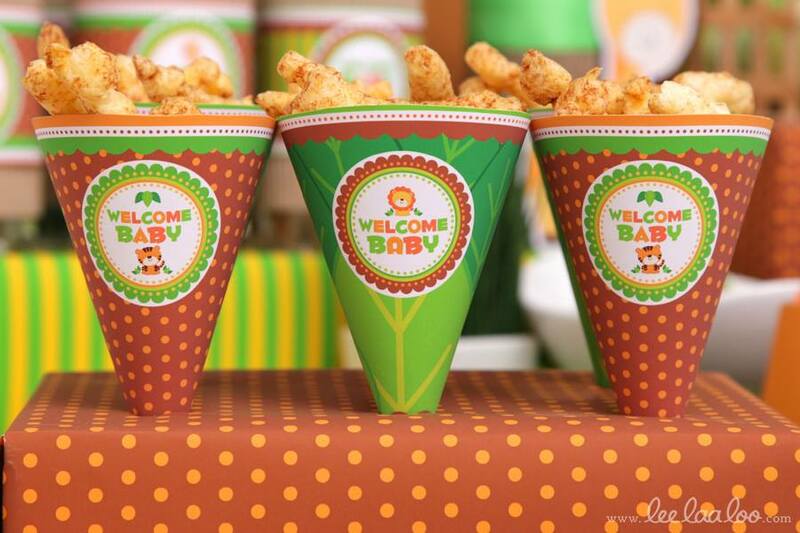 Top them off with 3 vanilla wafers and a cute, jungle themed spoon, and watch your guests dig in! Jungle juice: Every baby shower needs a themed drink, so why not serve up some limeade with fresh lime slices, a splash of sprite or ginger ale, and a scoop of a fruity sherbet! 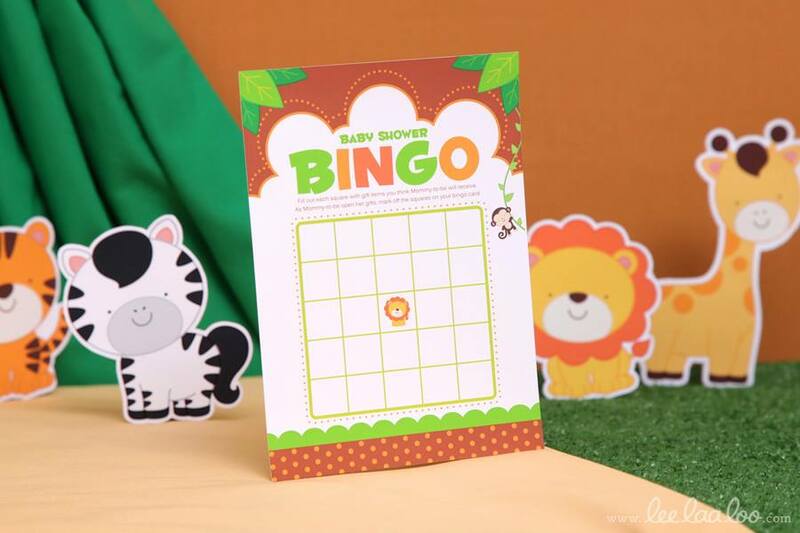 You cannot have a baby shower without a few games! 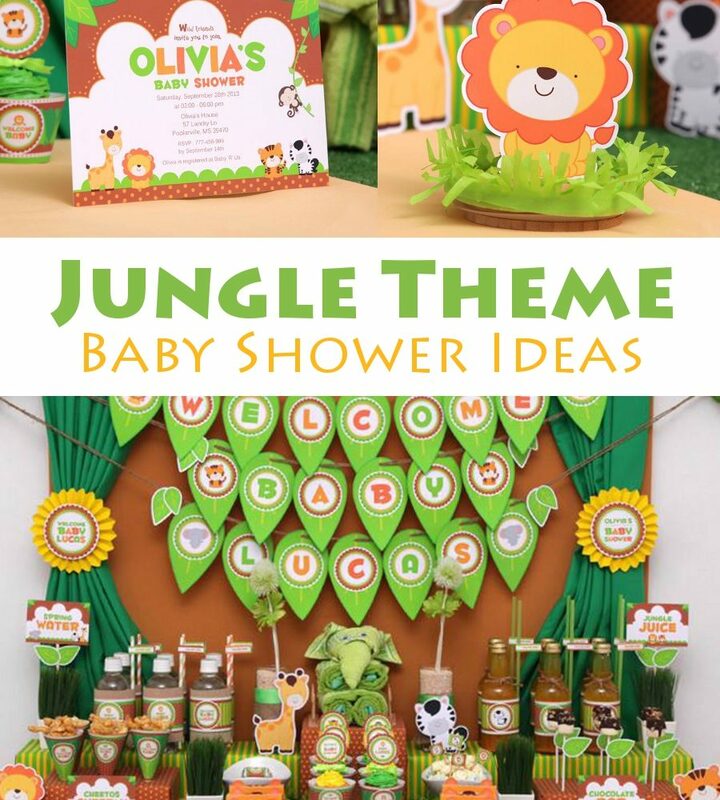 You could always have the typical baby shower games such as the word scramble or word searches, but for a jungle theme baby shower, your guests should be up and monkeying around! Guessing game: Fill a jar with banana candy, be sure to have a monkey on guard! Each shower guest gets one guess, and whoever guesses the number closest without going over is the winner of the monkey and jar of candy! Make it trickier by filling it with runts, but having the guests still only guess the number of bananas in the mix! Tiger Tails: Much like pin the tail on the donkey, but this time you’re pinning a tail on a tiger! Grrr! Monkey see, monkey do: Everyone stands in a circle. Starting with the mama-to-be, she signals an action, no matter how goofy and points to the person who is to copy it, and this continues from person to person, no specific order. Everyone better be paying attention because if you get the action wrong, you’re out. Last monkey standing, wins! At the end of the shower, send your party animals home with something they’ll love! Sweet treats such as cupcakes and cookies will surely keep the jungle fever (or sugar high) going for hours after the shower!